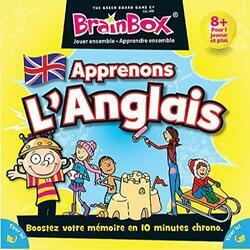 With BrainBox Let's Learn English, children watch a card for 10 seconds and then answer a question indicated by the die. If the answer is correct, the card is won! This version will allow children to learn English smoothly.